Why You Should Kick The Soda Habit - Make Your Own Bubbly Water Instead! 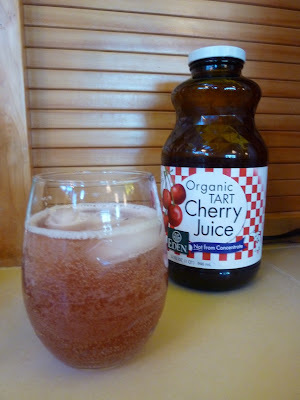 Make bubbly water at home - skip the sugary additives. There are many reasons to avoid drinking soda - where do I start? For those of you who are into raw food or who consume lots of fruits and veggies, you are eating a healthful, alkaline diet. (FYI, pH above 7 is alkaline and under 7 is acidic). Eating an alkaline diet supports our blood's normal pH level of 7.356. When we consume acidic food or drink, our body must work very hard to neutralize and detoxify the acids. This hard work of maintaining the proper pH leads to the depletion of our alkali mineral reserves. Over acidification can lead to acidosis, a major root of illnesses. Chronic acidosis can lead to joint pain, GI issues, muscle weakness and seizures, headache, confusion, heart disease, allergies, osteoporosis, accelerated aging, digestive problems, dental erosion and decay, risk of kidney stone formation, acne and many other issues. To give you a reference, TAP WATER has a pH around 7 and BATTERY ACID has a pH of 1. Drinking a Coke is a lot closer to drinking battery acid than water. Drinking lots of soda can impair the calcification of growing bones in children. For adults, it can increase the risk of osteoporosis. When the body is busy robbing minerals like calcium to neutralize the acidic soda, it is taking those minerals from our bones. Phosphoric acid, also contained in soft drinks, is also associated with calcium loss. A 12 ounce can of Coca Cola Classic has 140 calories. Drinking 2 a day would add over 100 thousand calories a year or the equivalent of 29.2 pounds! Drinking soda over the course of several years can lead to obesity, and it has. Two thirds of the people in the U.S. are either overweight or obese, largely because of soda consumption. Obesity increases the risk of diabetes so they go hand in hand. But let's look at the positive side. By only cutting out just the soda in someone's diet, they could lose significant weight and lower their risk of diabetes. I know that many people who drink diet soda feel that they are drinking something a tad more healthy than regular soda. Unfortunately, many artificial sweeteners are even more dangerous than sugar. Despite having the comfort of an FDA approval, aspartame is an extremely dangerous substance. After consumption, this artificial sweetener eventually turns into phenylalanine, aspartic acid and methanol -which ends up converting into the carcinogens formaldehyde and formic acid. Avoid aspartame at all costs. I could rant on about soda but let's get to the fun stuff. My husband and I really enjoy drinking Pellegrino mineral water. It's alkaline with a pH of ~7.7 and has no calories. 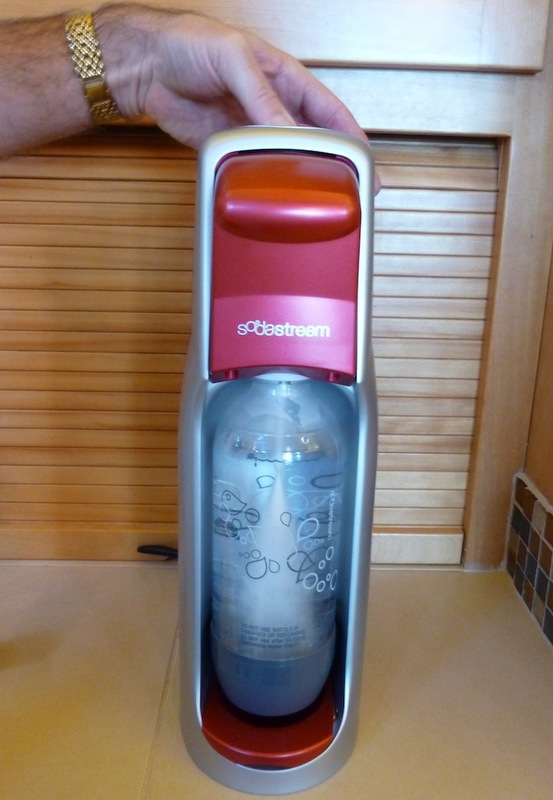 For Christmas, we got a really cool Sodastream bubbly water maker from my brother-in-law Don so that now we can make our own. I think it's actually a soda maker but if you toss out all of the unhealthy little flavor packets that come with it, you can use it to make some really nice bubbly water. And it's quite a bit of fun. Remove back and insert CO2 cartridge. Insert bottle that comes with soda stream. Press top button 3 times to carbonate. Drink as is or add your own healthy flavors. Add lime, lemon, or a splash of juice. Pictured is bubbly water with organic tart cherry juice. 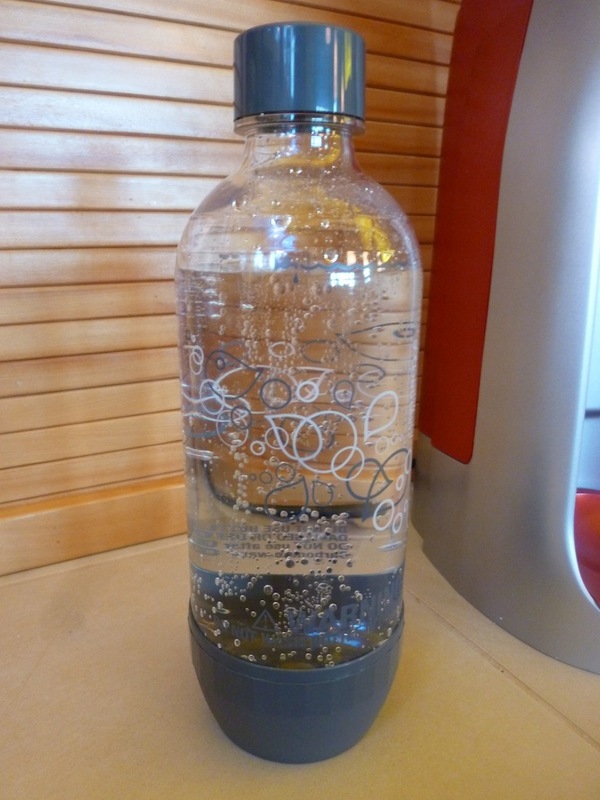 So if you have a soda habit, try some bubbly water instead. It can make a drastic difference in your health and longevity. Salute! Noodles With Zero Calories? Celebrate The "Year Of The Dragon" And Shed Pounds With This Cabbage And Oyster Mushroom Stir Fry Featuring "Miracle Noodles" - Vegan And Gluten Free! Miracle Noodles have zero calories - great for weight loss. This delicious stir fry has less than 130 calories per serving! January 23rd marks the beginning of the 2012 lunar new year and what better way to kick off the Year of the Dragon than with a healthful, vegan and gluten free stir fry. Months ago my new friend Carolanne asked me what I thought about Miracle Noodles - noodles that had zero calories! I hadn't heard about them before so I was anxious to do some research. Miracle noodles are a type of shirataki noodle also known as konnyaku noodles, named after the potato from which they are made and have been eaten in Japan for over 1,000 years. They are made up of mostly water and a tiny bit of "glucomanan" a type of dietary fiber that is practically undigestible - hence, zero calories. The noodles also have a calcium additive. One website mentioned that traditional shirataki noodles contain calcium extracted from eggshells so I wrote to the company to make sure that Miracle Noodles did not use eggshells in their process. They assured me that they were vegan. They are also gluten free. If you read comments on the various chat boards, you'll hear some complaints about the "fishy smell" and "rubbery texture". The key to using these noodles is to carefully follow the directions and use them in a flavorful dish. Asian dishes are more suited for these noodles. My Italian grandparents would come back from the grave and beat me if I dared serve these with tomato sauce but many people certainly do. Here I used them in a tasty Asian stir fry with cabbage, mushrooms, lots of garlic and ginger and a pinch of hot chili flakes. The dish turned out great and the noodles held up beautifully! I bought 6 packages of "angel hair" on Amazon for a little over $2.50 per 7 ounce package. Since I have Amazon prime, shipping was free. If you don't have Amazon prime, the price per package increases by another dollar. The smallest amount you can buy on the Miracle Noodle website is 10 packages and they are $3.29 per 7 ounce package which includes shipping. In any case, they are pretty pricey considering you get a tiny package of wet noodles in a little pouch of liquid. But for those who fear the carb and want to loose weight without giving up pasta, money is no object. You've got to admit, a noodle with no calories is a brilliant invention! 6 packages of wet noodles arrived in little pouches. Each tiny package is about 1 to 2 servings depending on what else is in the recipe. It's important to follow these instructions carefully to fully enjoy these noodles. Open the bag of Miracle Noodles into a colander draining the water that the noodles are packed in. (Hold your nose and ignore the fishy smell). Rinse for at least 10 seconds with cold water. Blanch in boiling water for one minute. Drain and pat dry on paper towel. Cut for easier blending into stir fry. Stir noodles in at the end, heat thoroughly and serve. To make the sauce, stir cornstarch into room temperature veggie broth until it dissolves. Add remaining sauce ingredients, stir well and set aside. To prepare Miracle Noodles, bring a small saucepan of water to a boil. Open both packages of noodles, drain into colander and rinse for 15 seconds under cold water. Blanch in boiling water for 1 minute, stirring to break up noodles. Drain and pat dry with a paper towel. When dry, cut in both directions with a pair of scissors. To make the stir fry, heat oil in a non-stick wok or large saucepan. Add garlic, ginger and chili flakes and cook for 1 minutes, stirring continually. Add onions, carrots and mushrooms and cook for about 8 minutes or until mushrooms soften and release liquid, stirring frequently. Add cabbage and cook another 8 to 10 minutes or until cooked. Stir sauce well to recombine. Pour into wok and mix into vegetables. Continue to stir until sauce thickens. Mix in noodles and heat thoroughly. Serve immediately. Per serving: 128.7 calories, 2.8 g fat, 0.5 g saturated fat, 4.7 g protein, 21.4 carbohydrates, 6.5 g dietary fiber and 237 mg sodium. Anasazi Beans With Kombu - How To Make Beans More Digestible And Nutritious! Beans are the perfect substitute for meat and very important in vegetarian and vegan diets. For example, let's take pinto beans. They are easy to find and very inexpensive. * 15 g or 31% of the daily value (DV) of protein. * 15 g or 62% DV of dietary fiber. * At least 20% DV of Iron, Magnesium, Phosphorus and Potassium and 39% Manganese. * Provides over 200 mg of omega-3 fatty acid. Aduki Bean - commonly eaten in Asian cuisine. Anasazi Bean - unhybridized and indigenous to North America. Black Bean or Turtle Bean - native to Mexico. Black-eyed peas - also known as cowpeas and used in Southern cuisine. Pink Bean - used in Hispanic and American Indian cultures. Fava Bean - also known as broad bean, these have become more popular in North American cuisine. Garbanzo Bean or Chickpea - a very versatile bean used in many different types of cuisine. Great Northern, Cannellini and Navy Beans - types of white beans. Kidney Beans - found as red or white kidney beans. Lentils - come in many colors and sizes and eaten all over the world. They cook faster than other beans. Lima Bean - Also known as "butter beans", they are a favorite in South America. Soy Bean - also eaten as tofu, tempeh and miso. Very high in protein. Some people have a problem digesting beans, especially if they aren't used to eating them and they currently are on a highly processed, low fiber diet. Beans should be introduced to the diet gradually as consuming too many, too quickly can cause gas and intestinal problems. Gas is caused by indigestible sugars (oligosaccharides) contained on their outer coating. But there are things you can do when preparing the beans that will make them more digestible. 1. Slow soak - Cover the beans with water and soak for 6 to 8 hours or overnight. Change the water once or twice if possible. Soaking helps eliminate the indigestible sugars that cause gas as well as the phytates that bind with important minerals making them unavailable. By rehydrating the beans, they will also cook more evenly and not split open. Soaked beans also cook much faster retaining more of their nutrient value. 2. Boil the first 20 minutes - When you start to cook the beans, boil uncovered for the first 15 to 20 minutes, scooping off and discarding any foam. 3. Add a strip of Kombu to the pot while cooking. Kombu is a sea vegetable that expedites cooking, improves digestibility of the beans and reduces issues with gas. It also adds iodine, a very critical mineral that is lacking in our diets. Kombu also reduces the need for salt. 1 gram of kombu provides 2,353 micrograms of iodine! 4. Cook with herbs like cumin or fennel. Mexicans also use "epazote" or "wormseed leaf" while cooking to reduce gas in beans. I love anasazis. They are also known as "New Mexico cave beans" after being discovered in a cave once inhabited by Native Americans. This beautiful and colorful unhybridized bean has been cultivated for more than 1,000 years. They are sweet and contain far less of the gas-causing sugars than other beans. I made them for lunch yesterday and they were wonderful. Anasazi beans are sweet, have a delicate texture and cook much faster than most other beans. Place rehydrated beans in a Dutch oven with 4 cups of water and a strip of kombu. Sort through the beans removing clumps of dirt. Rinse well under cold water. Place beans in a large pot and cover with 4 cups of water. Soak for 6 to 8 hours or overnight. Change soak water once or twice if possible. Rinse again and cover with 4 cups of water and a 4 inch strip of kombu. Bring to a low boil and cook uncovered for 15 minutes. Remove foam that forms on top of water. Reduce heat, cover and simmer until beans are almost done (1 hour more or less). Add cumin and salt to taste and cook an additional 15 minutes or until beans reach desired texture. Remove kombu, slice into thin pieces and return to pot. Drain or cook off excess water and serve or use in any recipe that calls for cooked beans. For a simple and satisfying meat free meal, serve over rice with a side of your favorite greens. Does daily aspirin do more harm than good? The latest study published January 9, 2012, did an analysis of nine random studies in the US, Europe and Japan that involved over 100,000 participants. All these participants had never had a heart attack or stroke but all were taking aspirin or a placebo to find out if aspirin would prevent these events. * Regular aspirin users were 10% less likely than the placebo users to have any type of heart event. 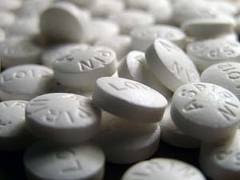 * Aspirin users were 20% less likely to have a nonfatal heart attack. * Aspirin users were 30% MORE LIKELY to have serious gastrointestinal bleeding. * The risk of dying during the study was THE SAME for aspirin users and those taking placebos. * Taking aspirin on a regular basis did not show any benefit with regard to cancer prevention. These participants, who have never had previous heart events and were taking aspiring to prevent these events, were 10% less likely to have any type of heart event and 20% less likely to have a nonfatal heart attack. Although this sounds like great news, they were 30% more likely to have serious GI bleeding and overall, did not have any lower risk of dying than those on the placebos. It also showed that regular aspirin use did not prevent cancer. What's important to note is that this study did not demonstrate or dispute the benefits for those who have had previous heart attacks. * If you have never had a stroke or heart attack and have no indication that you have high risk indicators for these events, aspirin may cause more harm than good, especially if you have gastrointestinal issues. * If you have a family history of heart attack or stroke and you have some indicators like high blood pressure, high C-reactive protein or high cholesterol, you should discuss continuing an aspirin regimen with your doctor. * If you are prone to gastric bleeding and you are taking aspirin, you should discuss discontinuing aspirin with your doctor and consider healthful ways to ensure heart health (see below). * If you decide to stop taking aspirin, do so gradually. * For heart health, exercise daily and consider eating plenty of heart-healthy foods such as oatmeal, walnuts, flaxseeds, wild caught salmon, blueberries, beans, almonds, a glass of red wine, non-gmo tofu or soy milk, broccoli, dark chocolate and green tea, to name a few. Avoid saturated and transfats and limit consumption of meat and dairy products. * The DASH diet is recommended for people with hypertension and can be effective for the prevention of stroke and cardiovascular disease. This diet focuses on whole grains, fruits, vegetables nuts, seeds, legumes and for those who consume animal products, low or no fat dairy and lean meats, fish and poultry. * To prevent cancer, follow the recommendations of the American Institute for Cancer Research which is to be physically active each day, have a healthy weigh and choose mostly plant foods. This low fat pasta sauce is packed with veggies. I know, it's January and everyone is on a diet, joining a gym and trying to shed the pounds they gained during the holidays. But that's no reason to totally give up pasta. Just make sure you don't cover it with a high calorie sauce and limit your serving of pasta to a few ounces. Italian Americans Love their Gravy! Somewhere between Southern Italy and Brooklyn, my Italian ancestors decided that sauce was "gravy" and instead of using it to delicately coat and flavor pasta, they decided to use it to drown it. I'll never forget my first trip to Italy. I was at my friend Isabella's house and she decided to make pasta. She took out a very small saucepan to make the sauce. I wondered how on earth she was going to make "gravy" in such a tiny pot! That was probably the first time I had ever eaten pasta with the "appropriate" amount of sauce. Surprisingly, it was quite good. I still love to use a lot of sauce on my pasta dishes but instead of making fatty, meaty gravies like my grandparents did, I make sauces that are packed with veggies that are low in fat and high in powerful plant chemicals. Instead of meat, I use plenty of veggies in my sauce. Eggplant, portobello mushrooms, red bell pepper and crushed tomatoes make up this delicious low fat pasta sauce. 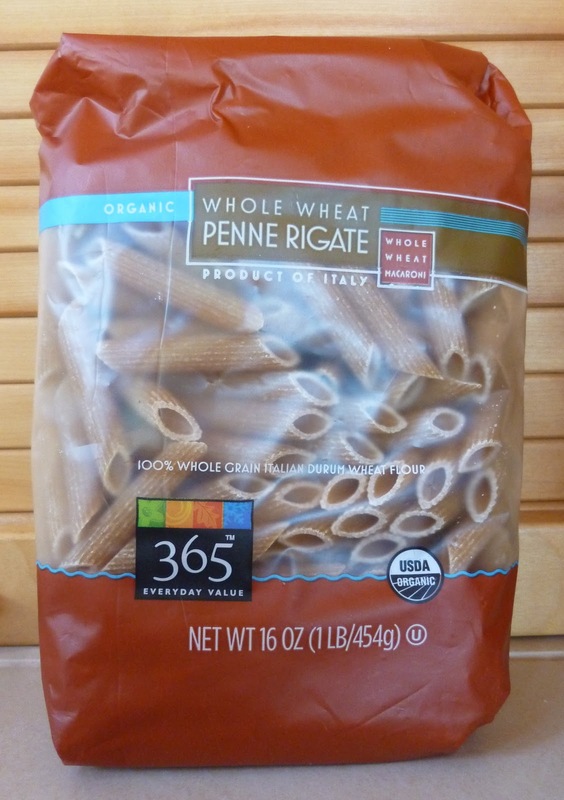 Pasta is only a problem in our diets when we select brands made from highly processed flour that is low in fiber. Pasta made from highly refined flour causes your blood sugar to spike which triggers a surge in insulin. Diets high in these "high glycemic" foods can lead to type II diabetes. If you are not sensitive to gluten, whole wheat pasta can be a good choice as a 2 ounce serving can provide 5 grams of fiber and 7 grams of protein. If you are glucose intolerant, there are some very good brands that even a fussy pasta eater can enjoy. My absolute favorite gluten free pasta is made by Quinoa Corporation. Their Ancient Harvest Quinoa Supergrain pasta is made from a blend of non-gmo corn flour and organic quinoa flour. A 2 ounce serving of their rotelle provides 4 grams of fiber and 4 grams of protein. Not quite as high in fiber as those made with whole wheat but higher in fiber than white pasta. Most important, they are safe for those who have celiac or gluten sensitivities. The best thing about quinoa pasta is that it has a good texture and can be cooked "al dente". It doesn't fall apart like many of the gluten free pastas made from rice and other grains. 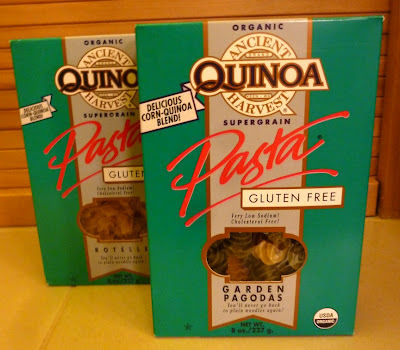 Ancient Grain Quinoa makes my favorite gluten free pastas! If you can tolerate wheat, select a whole grain pasta rich in fiber and protein. Place diced eggplant in a steamer basket and sprinkle generously with salt. Toss so the salt is distributed. Let the steamer basket sit in the sink for 15 minutes or until the eggplant sweats. Leaving the eggplant in the steamer basket, rinse off salt and steam until cooked - about 10 minutes. Set aside. Sprinkling the eggplant with salt and allowing it to "sweat" removes the bitterness. If you are using small eggplants that don't have many seeds (like Chinese, Japanese or Sicilian zebra or graffiti eggplants), you can eliminate this step and just steam the eggplant. While the eggplant is steaming, heat oil to medium heat in a large saucepan and stir in red pepper flakes. Add onion and cook for 5 minutes. Add red pepper, chopped mushroom and salt and cook for 8 to 10 minutes or until peppers and mushrooms are soft. Add wine and cook for another 5 minutes. Add steamed eggplant, basil, crushed tomatoes and bring to boil. Lower heat and simmer, partially covered, for 30 to 40 minutes, stirring occasionally, until the sauce reaches the desired consistency. Adjust salt and add freshly ground black pepper to taste. Top with fresh parsley and serve on your favorite pasta. Per 1/2 cup serving of sauce: 58.7 calories, 1.5 g fat, 0.2 g saturated fat, 23 mg ALA omega-3 and 236 mg omega-6 fatty acids, 0 mg cholesterol, 2.4 g protein, 10.9 g carbohydrates, 3.4 g dietary fiber and 199 mg sodium. Satsuma oranges and pears team up for this high fiber, flu fighting smoothie. The easiest way to include raw food in your winter diet is to have a raw smoothie for breakfast, lunch or after a workout. This delightful combination of fruits is readily available in winter time. Both high in fiber, one serving of this smoothie provides almost 11 grams of dietary fiber, over 40% of your daily requirement. Satsumas are lovely to look at and their thick skin makes them so easy to peel. Each serving of this smoothie contains an entire orange and provides your daily requirement of vitamin C. Just in time for cold and flu season! Satsumas and pears are readily available in the winter. Many satsuma oranges are seedless but just to make sure, slice them horizontally and look for seeds before blending. You'll notice that many raw food recipes call for soaking the nuts. One of the reasons they do this is to remove the phytic acid contained in the nut's outer layer. Phytic acid, if not removed by soaking, can combine with calcium, magnesium, iron, zinc and other minerals and block their absorption. These minerals are very important in our diets so everything we can do to increase their consumption and absorption is a good thing. Soaking nuts overnight will remove mineral-binding phytic acid. The night before, soak walnuts and place sliced banana in freezer. To remove seeds easily, slice the Satsuma horizontally after peeling and pick out the seeds. Many of them are seedless so this may not be necessary. Rinse walnuts and place them with water and stevia in a high-speed blender and blend until smooth and milky. 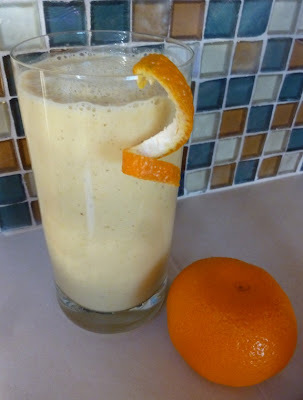 Add frozen banana, oranges and pears and blend until smooth. Serve immediately. Per serving: 261 calories, 5.3 g fat, 0.4 g saturated fat, 0.7 g ALA omega-3 and 2.8 g omega-6 fatty acids, 0 mg cholesterol, 3.5 g protein, 56.6 g carbohydrates, 10.6 g dietary fiber and 3 mg sodium. VARIATION: You can substitute English walnuts and water with 1½ cups non-GMO soy, hemp, coconut or other prepared non-dairy milk for a “mostly raw” smoothie. One of my strongest beliefs about food appears in my quote on the right hand side of this page.
" 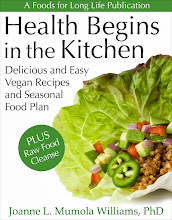 Health, excellent or ill, is passed to our children not just through our genes but primarily through our recipes". People often live in fear of getting a disease that their parents have. I know so many people who had one or more parents die from a heart attack, or some other disease, and they are unconsciously waiting for the same thing to happen to them. You don't have to do that. You can take control of your destiny and fight back with a healthful diet. Most of the illnesses you fear that your parents are passing to you (and the ones their parents gave to them) were passed in the form of dietary traditions. If you ever get a heart attack, it could be from Mom's 3 meat stromboli recipe that gave you high cholesterol and not from the bad genes you inherited. But What If It is the Genes? OK, I admit, it's not always the stromboli recipe. We occasionally inherit bad genes that give us a predisposition toward certain illnesses. But with proper diet, even the effects of bad genes can be mitigated. Perhaps one of the most exciting studies published last year was one led by researchers at McMaster and McGill universities. In a large gene-diet interaction study involving 27,000 individuals composed of European, South Asian, Chinese, Latin American and Arab ethnicities, they demonstrated that a diet rich in raw fruits, berries and vegetables could actually alter a high risk gene that causes heart attacks. Those participants with the high risk gene for myocardial infarction (the 9p21 genetic variant) who ate a prudent diet that included large amounts of raw fruits, berries and vegetables had a similar low risk of heart attack as those who did not have the gene! Dr. Jamie Engert, one of the lead researchers in the study, stated, "We know that 9p21 genetic variants increase the risk of heart disease for those who carry it... But it was a surprise to find that a healthy diet could significantly weaken its effect". Check out the complete paper, The Effect of Chromosome 9p21 Variants on Cardiovascular Disease May Be Modified by Dietary Intake:Evidence from a Case/Control and a Prospective Study. So whether your parents have passed down bad genes or just unhealthful eating habits, make a point this year of eating a healthful plant-based diet with lots of raw fruits and vegetables. Vegan Black-Eyed Pea And Hominy Enchiladas - My Annual New Year's Day Recipe For Good Luck! Eating black-eyed peas on New Year's Day brings good luck! As many of you know, I always start the year with a black-eyed pea recipe. For many decades, this tradition has brought me lots of luck so I dare not stop now. This year, I'm making enchiladas. My son makes the best enchiladas I've ever eaten. They take hours to make and like most of his gourmet recipes, they are complicated, dirty lots of pots and pans and require far more patience than I have. My friend also makes excellent enchiladas. One day she told me her secret - Lawry's. OK, I was surprised. She's half Mexican so I assumed she slaved all day making some family recipe. But I was delighted to know this as I could now make enchiladas without much fuss. 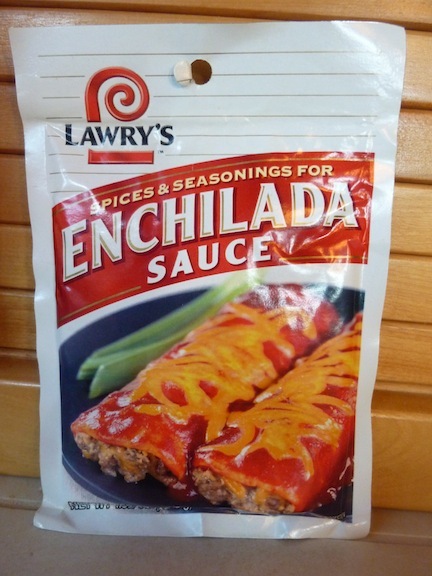 I won't say enchiladas made with Lawry's are better than my son's, but they are quite good and I have used this ready-made seasoning mixture in today's recipe. For those of you who love spice, Lawry's is mild so plan on adding some cayenne, jalapeño or chili powder to give it more heat. Unfortunately it is not gluten free. I was introduced to hominy while living in Texas - the same great state where I discovered black-eyed peas. 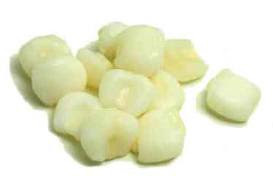 Hominy is corn without its hull and germ. When hominy is ground it's called "grits". I love hominy in all forms. When whole, it has a wonderful, chewy texture. It combines well with the black-eyed peas and gives a lovely texture to the meatless enchiladas. For those of you who are vegan, lactose intolerant or just wanting to avoid dairy because you just watched "Forks over knives" or read Joseph Keon's "Whitewash - The disturbing truth about cow's milk and your health", you are probably still searching for a cheese substitute. To be perfectly honest, it's pretty impossible to replace the taste and texture of real cheese. But lots of people are pretty excited about Daiya, a dairy, lactose and casein free cheese substitute that is also gluten and soy free. I use the Daiya Cheddar Style Shreds in this recipe. If you are not vegan, you can substitute regular cheddar cheese. If you are trying to wean yourself from dairy, use half cheddar and half Daiya. This tapioca based cheese substitute is free of dairy, gluten and soy. Take out a 9"x13"x2" baking dish. 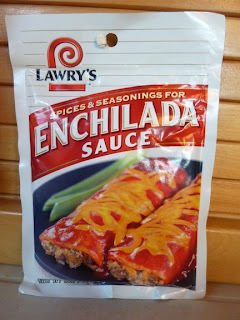 To make the sauce, mix the Lawry's spices, tomato paste, water and cayenne (optional) in a saucepan and bring to a boil. Lower the heat and simmer, uncovered, for 10 minutes, stirring occasionally. Make the enchilada sauce first and let it simmer while you prepare the filling. In a frypan, heat oil and cook onions for 5 to 8 minutes or until soft. Add garlic and cook another minute. Add drained black-eyed peas, hominy and cumin and mix thoroughly. Cook until heated throughout. Add half the cheese and stir until melted. Stir half the cheese into black-eyed pea mixture. Pour 1 cup sauce in the bottom of baking dish. Coat each tortilla with sauce and place 1/8th black-eyed pea mixture in center of each tortilla. Roll up the tortilla and place seam down in baking dish. To make enchilada, place filling in the center of tortilla. Roll up placing seams on the bottom of pan. Pour remaining sauce over enchiladas and cover with remaining cheese. Bake until bubbly and serve. Per enchilada: 248 calories, 5.5 g fat, 1.3 g saturated fat, 0 mg cholesterol, 6.5 g protein, 40.6 g carbohydrates, 6.4 g dietary fiber and 724 mg sodium. Happy New Year and thanks for following my blog!